Every Tuesday and Thursday for the past year, after dropping my son at school for early music practice, my daughter and I had some time to kill before the start of the regular classes an hour later. Sometimes we would go to Panera Bread. Other times we chose Starbucks. You'd think this would be a time to relax and gain strength for the day, but no. In typical American fashion, we would take the opportunity to be as productive as possible! My daughter would catch up with her homework and I would start answering e-mail on my iPhone. 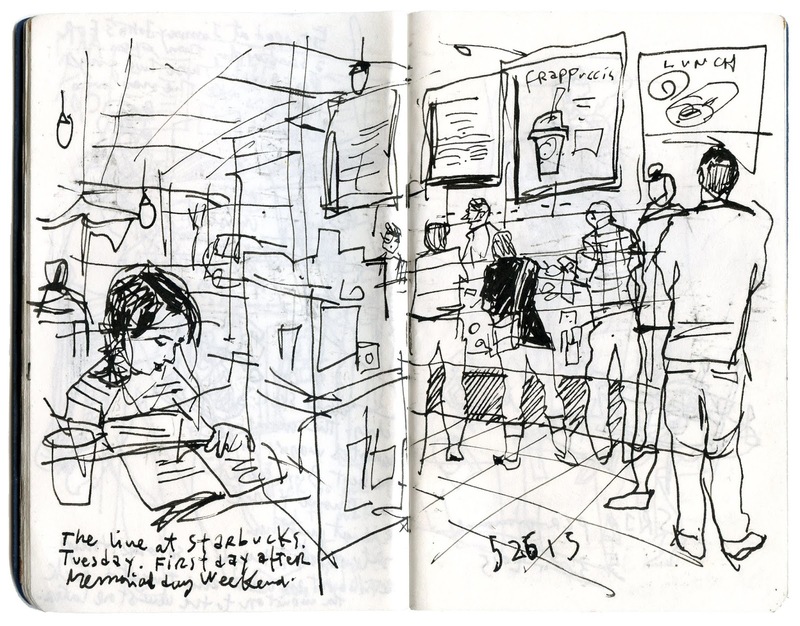 I can only remember a few occasions when I pulled out my pocket sketchbook to indulge in my favorite pastime. Here's hoping the summer routine brings more opportunities to sketch for the pure joy of it.